MSI recently added a new notebook to its classic series range laptops, named MSI CR630.The new MSI CR630 notebook comes in a stylish classical design and is based on AMD’s newest Danube platform. The all new MSI CR630 Classic Notebook comes equipped with a 15.6-inch LED-backlit display with resolution of 1366×768 pixels and is powered with AMD Athlon II Dual-Core processor.The notebook houses a RS880M+SB820M chipset and an ATI Radeon HD 4270 GPU with shared memory. MSI CR630 Classic Notebook features includes 1.3MP web camera, a 4-in-1 card reader (SD/MMC/MS/XD), Wi-Fi 802.11b/g/n, Bluetooth 2.1, two USB ports, an USB/eSATA Combo port, HDMI and D-Sub and a DVD burner.The notebook is provided with dual slot of DDRIII 1066 MHz memory and 320GB/500GB hard drive options for storage. MSI CR630 notebook weighs 2.5 kg and its dimensions are 374×247.5×35 mm.The release date and price details of the new MSI CR630 Classic Notebook will be revealed later. 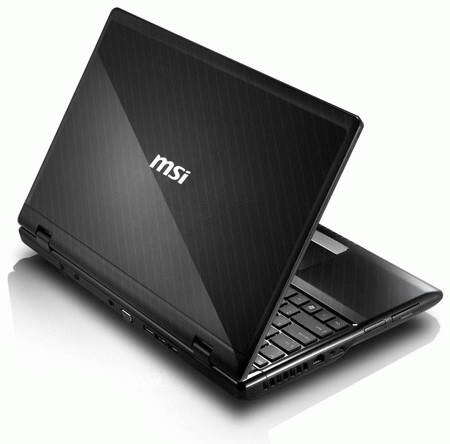 Tags:-15.6-inch notebook, amd notebook, MSI CR630 Classic Notebook features, MSI CR630 Classic Notebook specifications, MSI CR630 Classic Notebook specs, MSI CR630 Classic Notebook details, MSI CR630 Classic Notebook images,classic notebook, CR630, MSI, MSI CR630, Notebook, Stylishly Classic Notebook.